This is a sponsored post. I received products from Irresistible Me in exchange for my opinion. All statements and thoughts are my own. Ever since I was very young I have loved all things makeup and hair. I would wake up early as a high schooler just so I could spend an hour blowing my hair out in hopes that it would be pencil straight. Let me just be clear, my hair never wound up stick straight. So, when the flat iron walked into my life, I was beyond excited! As with all trends, gone are the days of straight hair, and now are the days of messy waves. I am elated about the trend and enjoy not spending over an hour fixing my hair. So, for those of you with naturally straight hair who want those messy curls, stick around... I'm about to make your day! Just like the flat iron helped me attain those straight locks, the curling wand will help you get those effortless curls! 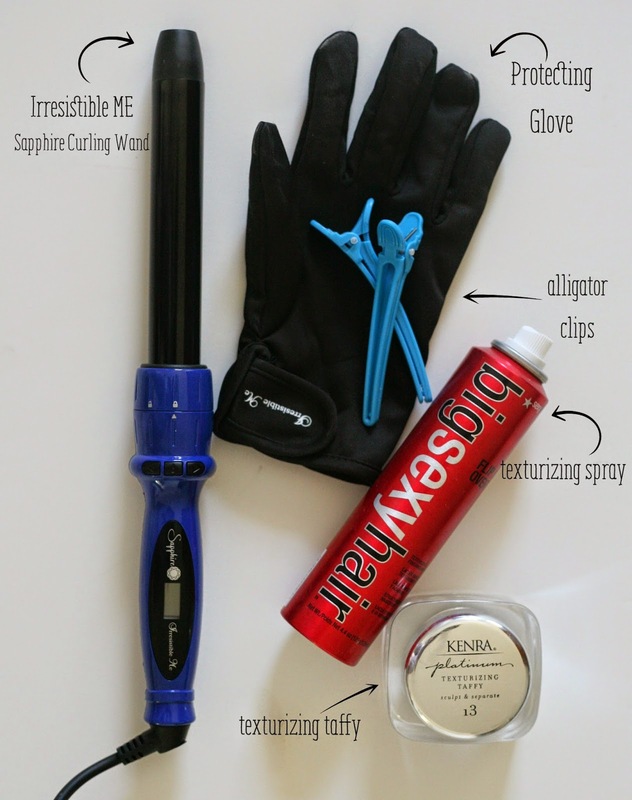 I was asked to try out Irresistible Me's Sapphire Curling Wand, and I am excited to show you how you can use this on your hair- long or short! If you rather create these curls with your flat iron, I showed you how I do mine in this video. + Try to always have the wand pointing downwards when you curl. 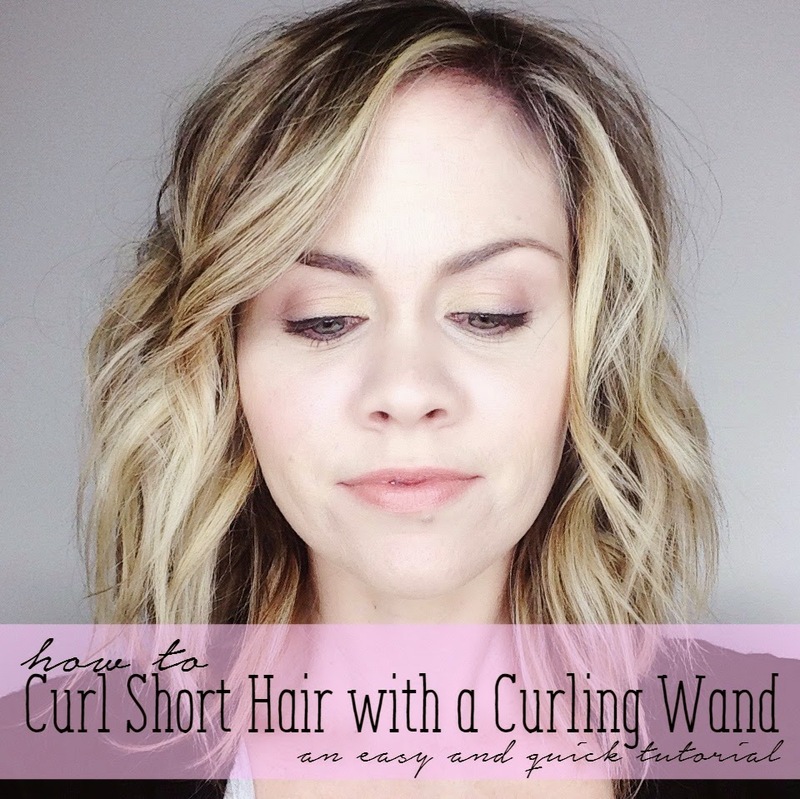 Once the curl is set, just let the ends of your hair go and the curl will fall off of the wand. There is no reason to wind and unwind the wand. + Curl your locks away from your face. I prefer to have my hair out of my face and I think it's more flattering to have the curls going outwards. + Use the glove and a heat protectant spray. I love that wand. I wil Check into getting one and see if the budget allows. Love your waves. I try and try and try and can never get mine to work out right! Yours look great! Very pretty! I have naturally curly hair and would love a more relaxed look - I hope this trick helps! I need to get a curling wand and learn how to do this with my loooooong hair. Love the video!